Launched in 2001, The Guildford, Farnham and Woking Magazines have firmly established themselves as vital weaves in the rich cultural tapestry of West Surrey during their 17 year history. Edited by Jane McGowan – a career journalist with 25 years’ experience who also edits The Surrey Downs Magazine – notable interviews over the years include Sir Roger Moore, Sir Terry Wogan, Eve Branson and Victoria Pendleton CBE. Dedicated columns on travel, health and beauty, education, homes and interiors, fashion, theatre, food and drink, pets and local events guarantee an engaged audience of affluent readers are kept up to date with everything going on in their local area. 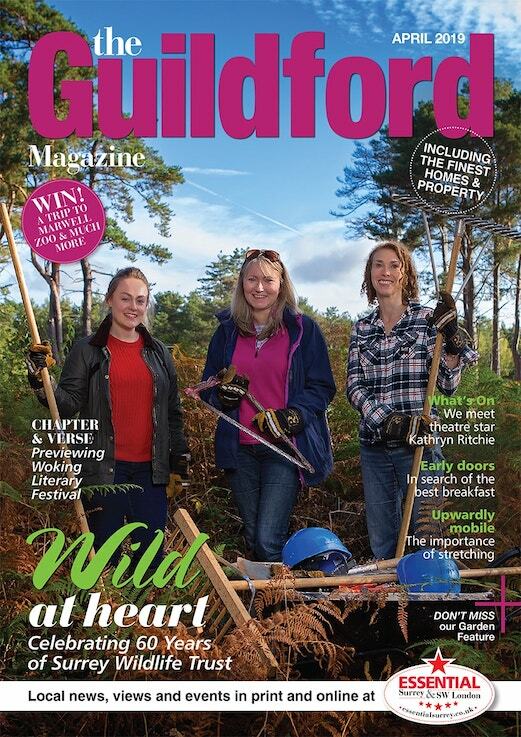 The Guildford, Farnham and Woking Magazines are published 12 times a year and distributed free to 40,100 AB1 households and businesses in the boroughs of Guildford, Woking and Waverley. To advertise, get in touch with the sales team on 020 8939 5600 or sales@sheengate.co.uk.